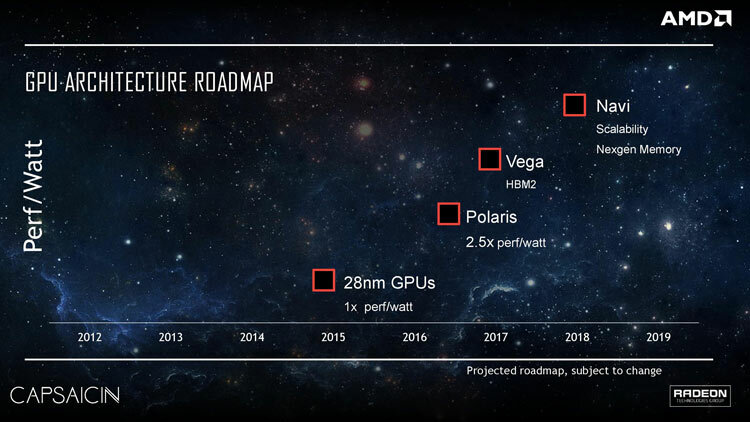 It’s no secret that AMD are working hard to get their Navi architecture ready for launch, with the GPU appearing on roadmaps since Raja Koduri first announced Polaris back in 2016. There have been a number of leaks concerning Navi, not least of all that it is partly funded by Sony, and will be the GPU at the heart of their next-generation console, the PlayStation 5. AMD’s CES 2019 conference was certainly memorable, with several Ryzen 3000 and Zen 2 juicy details, plus of course the official announcement of the Radeon VII graphics card, a GPU based on the 7nm vega 2 architecture. The announcements at this event also happened to be exactly what we’d been told by a few sources in the industry, who’d predicted both Radeon VII and some of the details announced of the Ryzen 3000 series (and many yet to be announced). We were also right about the announcements concerning CES and Ryzen 3000 / Zen, as another of our sources confirmed we’d be seeing PCIE 4 on X570, plus many other details. But in the here and now, while Radeon VII is certainly exciting, there’s the question of what happened with Navi. Well, according to a source Navi will not be announced until around E3 2019 (which takes place in June). The card(s) will then launch about a month later (I don’t have an exact date). According to the source, AMD said that the GPU is looking good (at least the general feeling of the company is confident). For the performance targets – I can’t give specifics, as I don’t have exact numbers (I wish I did). But I can tell you that according to the source, the company is targeting the “low to mid-range” which, as you can imagine is a pretty wide net. It does match what Lisa Su and others in the company have said, and also other rumors that AMD is basically going to replace Polaris with Navi. We can, therefore, assume (and this is NOT my source talking, I am simply giving my own two cents here) that the GPU will fall roughly at the level of performance of let’s say an RTX 2060 – RTX 2070. But who knows, maybe it might be a little more, depending on how confident AMD are with yields if they push the clocks up. We’re pretty confident in the source (as they were one of the sources who confirmed other leaks which proved to be true) BUT keep in mind things can change, and it’s possible that AMD might move up the launch plans if they feel too threatened by Nvidia’s GTX 11 series. The roadmap we first heard about Navi. I can also reveal that the lower end Navi’s of July will then be followed by a higher end Navi part that is supposedly arriving in 2020 (though no time window was given). This is puzzling because of Arcturus, but if I had to guess, Navi will launch first in the earlier part of the year, with Arcturus (the so-called ‘next-gen’ GPU) launching in the later part of 2020. Arcturus is also using 7nm+, which is a refined version of the 7nm process from TSMC… a route AMD is also taking with Zen 3 from what the company has murmured via roadmaps and official statements. This leaves a few possibilities for big Navi. 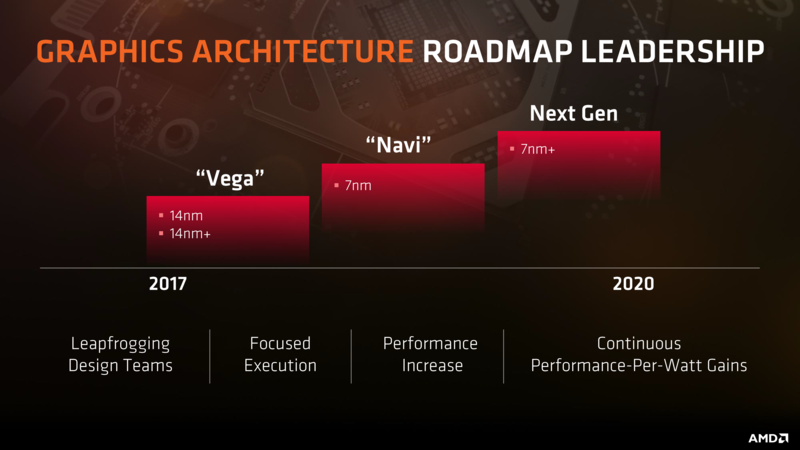 The first is that it will be still on the vanilla 7nm process, but with a larger die (either MCM or monolithic… AMD’s own roadmaps did call Navi ‘scalable’). The second possibility is that big Navi will be used as a ‘tester’ for 7nm+ in preparation for Arcturus. Generally speaking, it’s riskier to move to both a new architecture and a new process node than just one of them, as you’re adding more variables. This is pure speculation on my part though, and my source didn’t give me information into this. AMD clearly has a good plan in place… get people into the Radeon ecosystem. Not only is this great to boost cash (as the likes of the GTX 1060 is way more popular than say the 1080 ti), but also it serves to gain AMD mindshare and fans… all meaning that developers feel more compelled to push the Radeon ecosystem. In a nutshell, AMD is embracing opensource, so by them having as many gamers as possible at their side, it puts additional pressure on Nvidia. 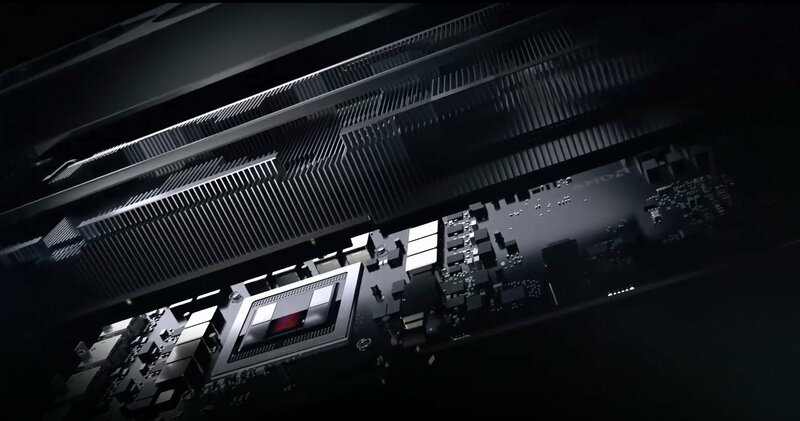 With AMD also ‘owning’ the console GPU space too, it means the next few years will be fascinating. Nvidia clearly isn’t going to give up their market position willingly, and have the engineering resources and architecture to put up one hell of a fight. Next year will be even weirder because we’ll be talking about GPUs from Intel too, and with Raja Koduri now at the helm of the creating discrete GPUs over at Intel, it’ll be interesting how this shapes up. Navi will have to be very impressive indeed, but I get the feeling that either way – it’ll be great for us as end users. This article was filed under Articles, Features, Hardware. Tagged with graphics, navi, navi 11, navi 20, navi gpu, navi performance, navi release date, nvidia.